Did you know we offer Behavioural Therapy sessions for pets? Pets and fireworks don’t mix! 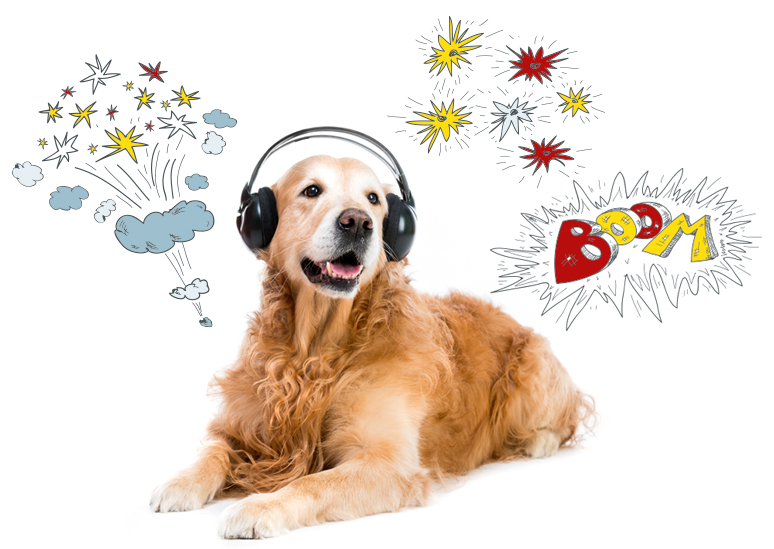 If your pet suffers with firework or other noise phobia and usually becomes distressed at this time, make an appointment to come in and chat to one of our nurses or vets about available therapies to help with noise phobia. We sometimes offer discounts on behavioural therapies during November to VIP members. So, as well as benefiting from discounts all year round on any of our VIP Club preventative healthcare services & products, club member also get FREE nurse consultations! You can join the VIP Club and start benefiting immediately. To give you an example of what a dog owner would receive as a VIP Club member, check out this huge list of benefits that not only help you save money but also budget monthly too. Read more about our VIP Club for dogs, cats and rabbits here. Pets and fireworks don't mix! If your cat or dog suffers during this period then this Firework Fears and Phobias information is for you. We've compiled a special firework guide for you to download, print and keep handy during Novembers' firework festivities. These helpful tips will give you advice to keep your pets safe and happy. Simply fill in your details below, click the button and we'll give you a link to download. 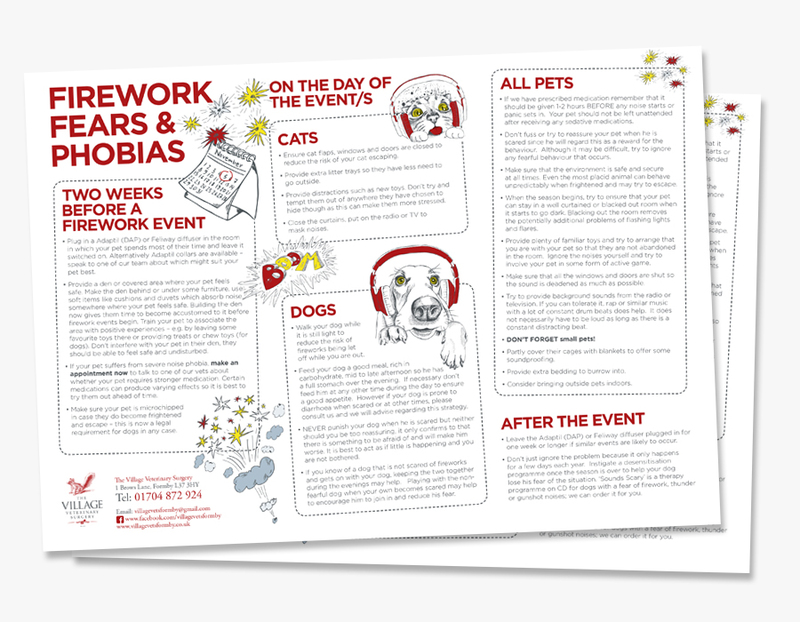 How we use your data: When you request to download our Firework Fears and Phobias information, your name and email address will be added to the Village Vets email list. Please don't worry - we never share your details with any other companies. Occasionally we may send you a news bulletin or a special offer which we think our customers will be interested in. You can opt out at any time.